Sushi is one of the most popular dishes in Japan and is also widely enjoyed in other countries. 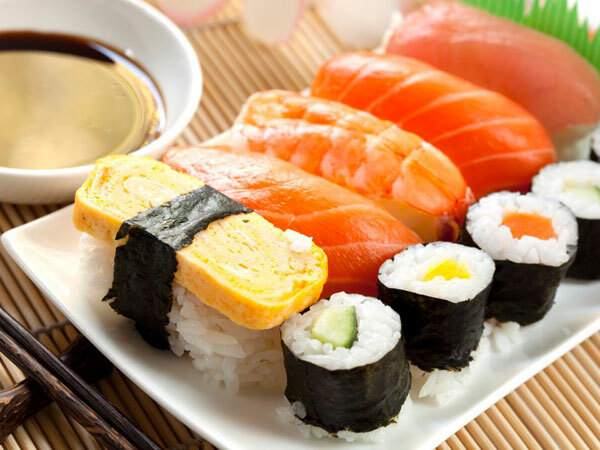 Sushi originated from the practice of preserving fish by fermenting it in rice for months. It is a tradition which can be traced back to ancient China. It was originated during Tang Dynasty in China, though modern Japanese adopted sushi and evolved it. The most famous type of sushi may be the nigiri-zushi, which is means hard-pressed sushi. The sushi rice is hand formed into a small clump, and the fish is sliced and pressed on top of it. Nigiri sushi is commonly found in sushi restaurants which have a reliable supply of high quality raw fish and well trained cooks. However Sushi is delicious but some people misunderstand that sushi helps them to lose weight, on the contrary, sauces, fried tempura pieces, cream cheese in the sushi are of high calories. Then is the problem of mercury poisoning. Tuna is notorious for high mercury content, and this is the type of fish that is used most frequently to make sushi. Some of the symptoms of mercury poisoning include vision impairment; tingling throughout the body; inability to coordinate movement; speech, hearing and walking difficulties; and muscle weakness. Therefore, you should take cautious next time you eat sushi. 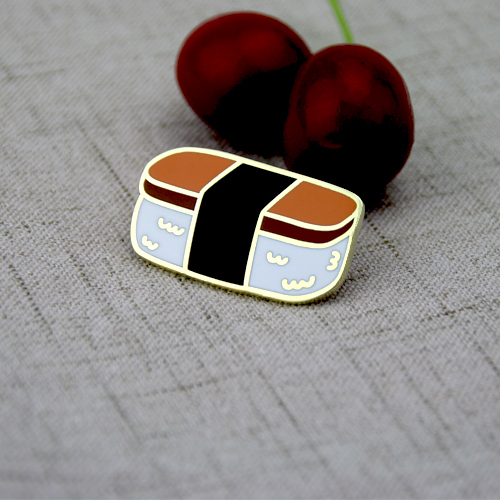 The lapel pins for sushi is a typical nigiri-zushi one. 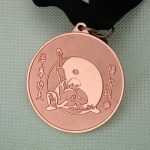 It is crafted by hard enamel and plated gold finish. 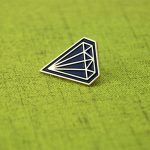 As a responsible company, GS-JJ only produces custom lapel pins with the best quality. Besides quality, GS-JJ also offers personalized pins according to the customers’ request. 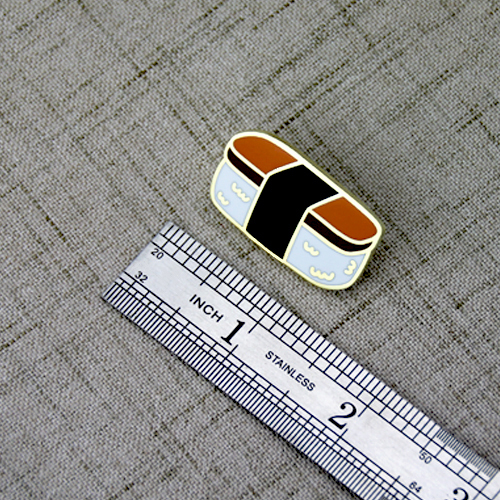 If you intend to buy satisfying custom pins, GS-JJ will be your prefect option.